As we approached the runway, ominous grey clouds appeared and I watched the vapor trails coming off of the wing. I could clearly see the lagoon islands in the distance and spotted the Truk Stop dock as we continued to descend, and descend and descend. I had just thought that we were much lower over the water than on any of my many previous landings in Chuuk when the left wing dipped a little bit as, in my experience sometimes happens as pilots adjust to cross winds on approach to the runway. Suddenly there was impact, an extremely hard impact, and an amazingly quick stop. My first thought was that we had just experienced the hardest landing and fastest braking I’d ever experienced on any runway but I couldn’t reconcile the rending, tearing sounds in my mind. I was stunned and looked around. When I saw a hole in the other side of the plane across the aisle, I knew we hadn’t made the runway. Water was coming in fast, rushing from the nose of the plane toward the rear. The water initially ran out through the hole but very quickly water also started coming in from there as well. Some have said that there was an announcement to “brace” before the impact came, but if there was, I never heard it or if I did hear it, it was not sufficient for me to have understood that we had been about to crash land and I cleared it from my memory. The cockpit recorder will tell that part of the story. I reached under my seat for a life preserver but could not find one. As I got up from my seat and started walking in what was then thigh deep water, deeper on those people who are not 6’4” tall, there was pandemonium. Some passengers were trying to retrieve their bags from the overhead compartments, an absolute no no during an emergency evacuation as it slows evacuation. Some passengers scrambled over the tops of the seats. Flight attendants in my section of the plane were screaming for people to calm down. It wasn’t working. Meanwhile the attendants were running back and forth in the aisles, pushing passengers out of the way. I checked under three other seats on my way out but still could not find a life preserver. I can’t speak to the experience of others but I was not the only passenger who did not have a life preserver when we went out the exit. A young man of Asian descent who was behind me as I tried to walk toward the exit while making way for passengers who were more injured than I began to push hard. I turned around and grabbed his shoulders. Making eye contact with him I asked him to calm down. I told him that we would get out but only if we did it calmly. He did calm down, though I’m not sure if he actually understood my words. By the time I arrived at the exit door, the pathway was clear. I stepped out onto the wing where the water was approximately waist deep. A raft was waiting there and people were jumping into it. I stood aside so that others could get in first. Someone finally yelled at me to get into the raft and I complied. As two passengers I didn’t identify carried a Chinese man, who I later learned had a broken pelvis, to the raft, a female Chuukese passenger turned to me and asked in a panicked voice if she had her life preserver on correctly. After it inflated, she was having a hard time breathing as it pushed her head backward. Others experienced the same problem and none of us could figure out how to let a bit of air out of them to give them some relief. Another man in the raft who had passed me as I stood on the wing seemed to have a broken forearm. As I lay on the bottom of the raft wondering what would happen next and wondering what had happened to my passport that had been in my shirt pocket, I looked at the plane which at the time was only half submerged. I incorrectly thought that we were in shallow water and that during the recovery effort, after we were all safe, someone would be able to retrieve all of my camera gear and laptop from the overhead baggage compartment in working order. I had no idea that we were in approximately 90 feet of water and that the plane was in danger of sinking at any time. Had I known, I may easily have been one of those who panicked. I didn’t have time to notice that the plane was sinking because within no more than two minutes of getting into the raft, a boat driven by a local who had seen the crash nudged the raft. People helped the very injured man into the boat, and again, I stood back knowing that the raft would keep me safe and that others needed to be evacuated more quickly than I. By that time there were several boats surrounding the plane. I could have taken another boat but the boat driver would not take no for an answer and I boarded as the last passenger aboard that boat. 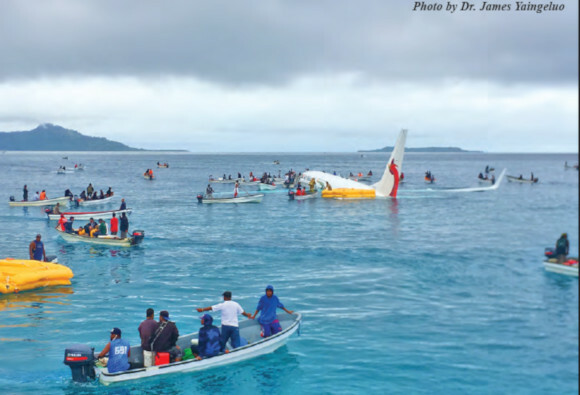 I will never forget the efforts of the Chuukese locals who, either foolishly, or bravely immediately rushed out to the downed plane to help get us safely to shore. A week and a half later, I still get tears of gratitude in my eyes whenever I think of their selflessness and bravery, and I have thought of it many times every day since the morning of Friday, September 28. Unfortunately, since that time, some have tried to make an issue of whether or not Chuukese locals or US Navy Seabees were the first to arrive on the scene. Quite frankly, from videos I later saw, I believe it was the Seabees who were there first but if so it was only by moments. I don’t know. I never saw them. I quite frankly, don’t care. All of the responders were heroes and calling one group of responders heroes does not at all minimize the heroics of another group. For me, on that day, it was Chuukese locals who whisked a boat load of wet and frightened passengers, me included, to the Transco dock in Weno. Since we are on the subject of heroes, now would be the time to talk about two passenger heroes I will never forget. One is Adam Milburn, an Australian who currently lives in Pohnpei. He will not call himself a hero but I watched his calm demeanor as he assisted passengers through the exit door. In the video of the US Navy response to the crash, Mr. Milburn is the man in the blue wind breaker, calmly standing on the wing at the exit door helping passengers out. He also re-entered the plane to help make sure that there were no passengers left aboard but by then, the tail section of the plane was head high underwater. Only after he did that did he decide to go ahead and grab his own bag from the baggage compartment. It had not been safe to do so while passengers were evacuating. I didn’t learn of another hero until later in the day when I met Rodney Nogi of Papua New Guinea at the Truk Stop hotel where Air Niugini had placed some of the passengers. He very quietly and reluctantly told me that he had been the one to open the exit door when flight attendants didn’t do so. He mentioned that he also mobilized and inflated the raft from that door. Milburn later told me that when he got onto the wing, the raft had been mobilized and that it had been Nogi who had done it and who also made sure that it stayed where it could be useful and didn’t float away. Nogi said that he had been to a fisheries university where he had been taught sea rescue techniques and those techniques helped him. On that Friday evening he was humble and unassuming about his role though that could have been because he was sharing a table with a man 33 years his senior. We’ve all gone through changes since that day and if a story in PNG’s The National newspaper is accurate, he is now saying that Air Niugini owes him a pat on the back. I don’t know if Air Niugini will ever give him that pat on the back but I certainly will. Once at the Transco dock, I could hear sirens in the distance. They took a while to get there but that was a function of the roads in that area and of the snarled traffic. As far as I am concerned, the response was immediate. I used the time to call my wife as I always do when I land in Chuuk, the last place where my FSMTC cell phone will usually work on my travels. My wife was effervescent when she heard my voice. She hadn’t yet heard the news. I was glad to be able to tell her that I had survived before she heard that the plane had crashed. On a triage basis, ambulances whisked passengers to the Chuuk State Hospital. I didn’t feel I needed to go but didn’t know where else to go so took the free ride in the ambulance to the hospital. The scene there was truly incredible to watch in every positive way I can think to describe it. Temporary cots had been placed in the waiting room and the place was a flurry of activity as doctors, nurses and others attended to passengers. Again, I have nothing but good things to say about the hospital response in Chuuk. I’ll be honest and admit that I was pleasantly surprised to see it and experience it. As I nearly always do during times of stress, I laughed and joked with those who were able and inquired about the health of every passenger I met even if they couldn’t understand me, even if just to give a questioning “thumbs up”. I met and talked to passengers from Singapore, Vietnam, Indonesia, China, Chuuk, Australia, the United States, Papua New Guinea, and the Philippines, all with various levels of injury and all in various states of shock. Outside the hospital I gave an interview with my first impressions which, I was told ran on television, radio and newspapers around the world on that day. I was NOT the only passenger aboard. I wasn’t even close to the most significant. I did end up being one of the most visible because of that interview and on that basis alone, I assume. Any other good journalist would have remembered that he had a cell phone in his pocket, albeit underwater, and would have tried to snap photos or take video. It never even occurred to me. I almost never use my cell phone for news purposes and it rarely crosses my mind even for personal purposes. I almost always shoot with DSLRs but those are now gone. I didn’t speak with the pilots or crew at the hospital nor at the airport as they were getting ready to leave on Saturday morning’s rescue flight to Port Moresby. As a human and not a journalist, I found myself unable to even look at them, much less speak to them. I regret that lost opportunity, especially after I confirmed with US Navy Seabees that the rumor spread by a passenger that the cockpit crew was the first off the plane was completely false. The members of the cockpit crew were in fact, nearly the last off the plane and were hesitant to leave even then. At the Truk Stop Hotel where some of us were placed, I found it nearly impossible to be alone for any period of time. I only went to my room when there was no one left awake to talk to. I listened to eyewitness accounts from passengers, the US Navy Seabees crew who saw the plane go down, and everyone who had an opinion to share. Where there were rumors, and there were many, I spent time during the next few days trying to substantiate them with proper authorities and eyewitnesses rather than relying on second hand information. Most of the rumors were complete fabrications. After a series of miscommunications with Air Niugini, I finally arrived home in Pohnpei on Monday, October 1 aboard United Airlines flight UA 155 having entirely missed the purpose for my trip and probably having mashed the armrests of my seat as we landed smoothly in text book fashion. Since I carried only a small plastic bag containing two shirts I’d bought in Chuuk, and a pair of zorries, I was one of the first through the exit door at the Pohnpei International Airport where my wife waited for me. I had already cried on seeing Pohnpei for the first time since my plane went down in the Chuuk lagoon as I have done many times since. But when I saw my wife I was a goner and the waterworks flowed again freely as we hugged each other tightly in the airport. We went to Joy Restaurant for lunch after which she dropped me at the office where I immediately began responding to emails and trying to correct erroneous news reports I had not been able to see in Chuuk where for two days, I had little to no internet access. That afternoon I learned that the body of Eko Cahyanto Singgih had been found on board the wreckage of the fuselage that had finally been located 90 to 100 feet below the surface of the water. The young man had been returning to his home in Indonesia after having worked as a fisherman aboard a Luen Thai fishing vessel. I had earlier learned that he had been sitting only a couple of rows in front of me. A diver from Pohnpei told me that he had recovered his body only two rows in front of where I had been sitting. We may never know precisely what happened to him but it haunts me in my quiet moments to think that I may have walked by him without seeing him as I was escaping the plane. Many people have asked me my opinion about what caused the water landing. I do have a strong opinion about that based on my observations. At no time did I feel a sudden drop indicating loss of lift. There was just that one small dip of the left wing and then we were down. I am not a pilot in any way shape or form but as a passenger, my opinion is that the pilot came down at the wrong vertical angle of approach and was far too low. I believe that, realizing that error, he then did the best he could do in a very bad situation. Because he landed in the water instead of trying to pull up and try again, I believe he averted a worse tragedy that would have resulted in many more deaths had he hit the headwall at the beginning of the runway. I’m told that the pilot said that it was raining so hard that his windshield wipers couldn’t keep up with it, and that the visibility was low. My observations do not bear that out. It was not raining when passengers were evacuating and visibility, at least at water level was fine as all of the photos I have seen of the response show. FAA inspectors have confirmed that all runway strobes were properly working at the time. All of the various recording tools aboard the aircraft have now been recovered. As of this writing, the chips in the black box are still being dried at a lab in Port Moresby, Papua New Guinea so data has not yet been recovered for analysis. FSM Investigator-in-Charge, Master Halbert is on the scene in Port Moresby. 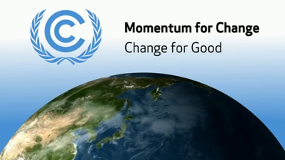 He has said that the FSM anticipates having its preliminary report out by the end of the month. Meanwhile, he will be releasing press releases as needed through The Kaselehlie Press. 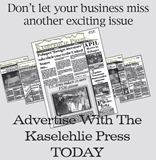 Those can be found at The Kaselehlie Press Facebook page, our easiest way of posting those press releases quickly. As of today, there have been six. Investigatory arms of the FSM, the United States, and Papua New Guinea are involved in the investigation of the circumstances surrounding the crash. I cannot speak to whether or not Air Niugini has contacted other passengers regarding compensation arrangements. As of today, I have had no contact from them since I left Chuuk for Pohnpei.